Jeff is a Salisbury native and went to Bennett High School. He attended Salisbury University and later graduated from the University of Maryland School of Pharmacy. 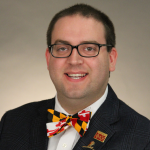 Jeff is also an assistant clinical professor for the University of Maryland School of Pharmacy and assists students in their clinical rotations. Jeff is very active in the community, giving to local charities, coaching both soccer and baseball, and volunteering at the local zoo. He is married to his beautiful wife, Martha and they are blessed with 4 wonderful boys. Jeff loves the Lord and is committed to his patients’ health and well-being. Melissa is a pharmacist at Community Farmacy and handles most of the compounding for our special needs and veterinary patients. She completed her pre-pharmacy work at Salisbury University while working part-time for Community Farmacy. She graduated from Virginia Commonwealth University’s Medical College of Virginia School of Pharmacy. Upon graduation, she began her career as a PharmD at a pharmacy in Radford, Virginia and later returned home to the shore to continue her career. In her spare time, she loves to hang out with her husband and her two children. Eric graduated from the UMES School of Pharmacy in 2014, and serves as the clinical pharmacist at Community Farmacy, among many other roles. He is also a compounding pharmacist and the pharmacy’s MTM and immunization specialist. Additionally, Eric has completed advanced competency training in order to head up the pharmacy’s Travel Health Services. Eric also serves as a preceptor for the UMES School of Pharmacy, where he instructs student pharmacists on clinical rotations at our store. In his spare time, he is an active Brother in the Phi Delta Chi Pharmacy Fraternity, and loves to travel with his wife - who is also a pharmacist. Sharon received her Bachelor of Science degree from the University of Maryland School of Pharmacy in 1978. After graduating, she worked at her family’s pharmacy with her father who was also a pharmacist. Before coming to Community Farmacy, Sharon opened what is now called American Home Patient with her sister-in-law. When she is not traveling the world with her husband of 32 years who is also a pharmacist and pilot, she enjoys reading, and spending time with her three boys and grandchildren. Jamie graduated from the University of Maryland School of Pharmacy. She and her husband have lived in Berlin, Maryland since 1989. She has worked for Community Farmacy since October of 1999. Jamie is married and has three adult daughters. She also has three grandchildren and spends much of her spare time playing with them. Jamie also enjoys reading, traveling, and shopping. Joanne is the Head Pharmacy Technician and Office Manager for Community Farmacy. She went to Laurel High School and has been a certified Pharmacy Technician by the Board of Pharmacy since 1995. She has worked for Community Farmacy since 1990 and has fostered an environment that she says, “does not feel like a business, but like family.” Joanne is married and has 3 wonderful children and 9 grandchildren! She is devoted to her family and to God, knowing that she is always under His care and no matter what happens, He will always see her through. Matt currently attends Salisbury University. He went to Salisbury Christian School and is a certified Pharmacy Technician by the Board of Pharmacy. He has worked at the pharmacy for a long time, supporting his father, Jeff. In his spare time, he loves to travel, root for the Orioles and the Ravens, and spend time with his family. Megan is a pharmacy technician at Community Farmacy. Raised in Berlin, she has a beautiful daughter and enjoys time with her. In the summer she can be found at the beach! Amber attended Delmar High School and currently lives in Delmar with her husband, Ryan. Both are truck and jeep enthusiasts. (You may see their truck "Saigon Shaker" on television on occasion.) Besides taking care of her pitbull, Amber spends time with family and friends. Teresa is a Customer Care Specialist at the pharmacy, and she also brings years of personal experience using non-traditional remedies including homeopathy, Chinese herbs, essential oils, and over-the-counter vitamins and supplements. She lives in Salisbury with her husband and has grown twins.